Fox's Batman prequel, Gotham, has had a successful but uneven rookie season dealing with growing pains and an identity crisis. Nonetheless, it doesn't fail to entertain even with the wildest of plots and next Monday is the season finale.The teaser promises plenty of fireworks. It's the Penguin versus Fish, Barbara versus Dr. Thompkins, and Gordon double-fisted guns ablazing.It's sure to set-up storylines for next season, but Jada Pinkett-Smith isn't expected to return so this may be the last we see of her. 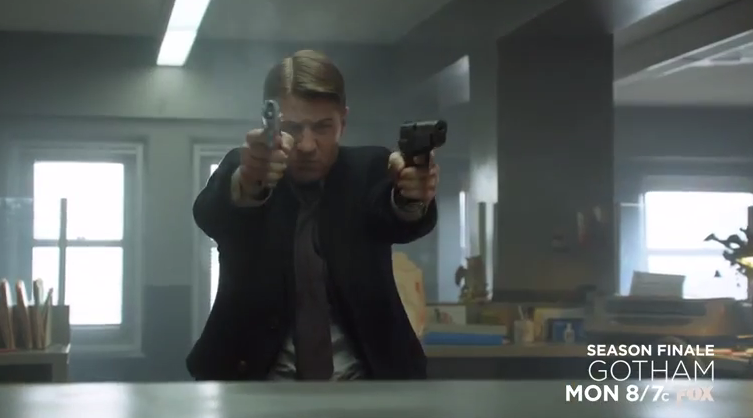 An all-new GOTHAM premieres this MON at 8/7c on FOX!